Life coaching in Wollongong is becoming more popular. There is a great need for good life coaches, however, with so many coaches and online programs available, making a good choice is more difficult than ever before. Jodie’s been a life coach in Wollongong for over 13 years and has helped thousands of locals manage stress, develop confidence and build more work life balance. For most people, life is busy, there are more things to do, more stress, more work, more social commitments and we seem to get busier and busier….. but not actually happier. 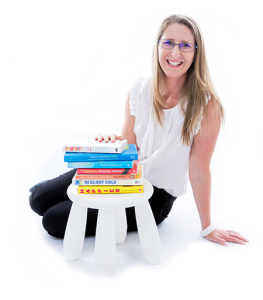 Over the 13 years that Jodie’s been a life coach, she’s discovered that people need to understand why they get stuck and Jodie offers the science of positive psychology to empower individuals to move forward. Happiness is fleeting, a motmentary blip in an otherwise dreary day isn’t enough. What you want is be become lastingly happy. The sort of happiness that floods your life with positivity, that spreads throughout your relationships and leaches into your health, career, family and daily routines. This happiness is grounded in reality, it faces challenges head on, diffuses negativity and consistently moves forward with optimism and hope building resilience along the way. That’s where Positive Psychology comes in, it’s the science and study of what is right with human beings, organisations and communities and is central to everything Jodie does. Jodie’s life coaching is so much more than just ‘life coaching’, you’ll learn the science and get to put it into practice in your own life. Happiness isn’t a mystery anymore, it a formula that you can learn and apply, and when you do, you create more success in every area of your life. Happiness precedes success, not the other way around as many people think. Jodie lives and breathes positive psychology, and her life is a testament to its viability. She puts in place all she learns in her own life, business and family, prior to sharing it with clients. Her role essentially, is to challenge, support and to guide you, using the best information on offer. Jodie has a deep understanding of how the brain works, how to rebuild your mindset for positivity, and how to build up your positivity muscle, something that truly sets her apart from other life coaches in wollongong. The initial Life Coaching Program Jodie offers, includes six coaching sessions of one hour each and takes around three months to complete. Here’s what you’ll achieve with Jodie’s personal life coaching program. Happiness – There’s a simple science many habits that you’ll learn. Think of happiness like tennis, it’s just focus and practice. Confidence – Imagine tapping into the best part of you, easily and all the time. Learn to recognise your strengths and how to apply them. Motivation – Ever felt motivated but still stuck to the lounge and not done anything? Find out how willpower and grit will get you there faster. Mindset – Learn about your mind and how to shift negative thoughts to positive. Letting go– Deal with anxiety, worry and stress more effectively with new skills to better manage your thoughts and emotional wellbeing. Goal setting – Many goals end up demotivating and damaging self esteem. Jodie sets you up for success with positive habits that work. Relationships – Review key relationships and build communication and connection into your everyday life. Self Compassion – Becoming kind to yourself is often unfamiliar, and is paramount in managing negative patterns. Values alignment – Ensure your life reflects what’s most important to you and establish functional routines to live them. “Jodie packed so much information into all the life coaching sessions! Jodie’s’ coaching isn’t an expense- it’s an investment into your future. If you ever feel stuck, lost, clueless or wondering what to do next, Jodie Cooper is the person to turn to.” – Michael S.
If you’re been thinking “life could be better” Jodie makes the process easy by offering a FREE INITIAL LIFE COACHING SESSION so you’re able to meet Jodie and talk though your situation. Together you’ll map out what you’d like to achieve over the next three months and find out if Jodie’s the right coach for you. 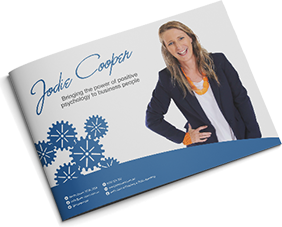 Jodie has an office in Warilla and sees clients from Nowra, Kiama, Shellharbour, Wollongong, Thirroul and Sydney. Jodie also offers an online life coaching program for those out of the area. Please fill in the questionnaire below if you’d like to meet with Jodie. This ensures you’re time together will be valuable and helps her understand what you’re looking for in a coach.